On 1 December 1800 the Vienna-educated composer and conductor Franz Anton Hoffmeister (1754–1812) entered into partnership with the organist Ambrosius Kühnel (c. 1770–1813) to establish a Bureau de Musique in Leipzig. Its activities included the sale of instruments – supplying, amongst others, Goethe and Beethoven – and the publishing of books and sheet music. Among its earliest publications were collections of Haydn’s string quartets, and of Mozart’s quartets and quintets. With a 14-volume set of the clavier works of J. S. Bach (then a nearly forgotten name), the firm undertook one of publishing history’s earliest “complete edition” projects, followed by J. N. Forkel’s famous first monograph on the composer. As early as 1802, the firm also succeeded in acquiring a set of piano and chamber works from Beethoven, together with his First Symphony and the B-flat major Piano Concerto. When Hoffmeister returned to Vienna in 1805, the firm passed into the sole ownership of Kühnel, who carried on the tradition with an edition (by Forkel) of Bach’s organ works, and a range of educational and theoretical publications. These included piano studies by Clementi, Cramer, and Pleyel; the violin methods of Rode and Kreutzer; the treatises of Albrechtsberger and Marpurg; and Gerber’s Dictionary of Musicians. In 1812, works by early Romantic composers such as Weber and Spohr – who would have a long-standing relationship with the firm – were added to the catalogue. 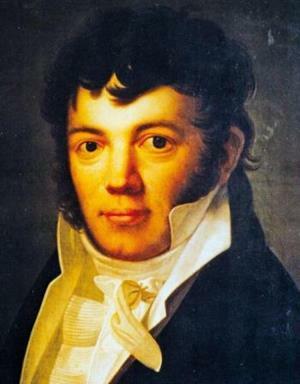 Following Kühnel’s untimely death the company was acquired by the Leipzig bookseller Carl Friedrich Peters (1779–1827), whose name it has borne ever since. Despite the economic aftermath of the Napoleonic Wars, he managed to build on existing composer relationships and expanded the catalogue with works by Hummel and Ries, alongside some early Nocturnes by John Field. Negotiations with Beethoven about a complete edition of his works were ultimately unsuccessful. C. F. Peters died after a long illness in 1827. His daughter’s guardian, the merchant and music lover Carl Gotthelf Siegmund Böhme (1785–1855), took over the business in 1828 and soon became a strong presence in music publishing. In Carl Czerny, Moritz Hauptmann, and others, he found highly skilled editors who continued the series of Bach publications during a period which saw revived interest in the composer’s works. Böhme also played an active role in establishing the very first association of music publishers for the purpose of securing legal protection of their editions. This influential alliance was formed of 16 businesses, including other notable Leipzig publishers such as Breitkopf & Härtel and Hofmeister. As stipulated in his will, on Böhme’s death the firm became a charitable foundation under the supervision of Leipzig City Council. 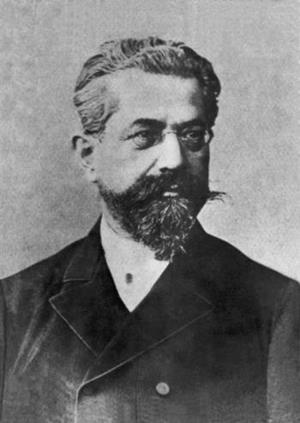 Five years later, following the resignation of manager Theodor Whistling, it was sold to the Berlin-based bookseller and music dealer Julius Friedländer (1827–1892). Friedländer introduced substantial improvements to music engraving and printing: his revolutionary rotary press for sheet music brought production costs down to a fraction of what they had been before. On 1 April 1863, Dr Max Abraham (1831–1900) became a partner in the firm and took over the active management. He recognized the vast potential of Friedländer’s innovations and, working with the Leipzig printer C. G. Röder, launched the iconic “Edition Peters” series in 1867, starting with Bach’s Well-Tempered Clavier (edited by Czerny). The modest prices which Abraham was able to set for these high-quality editions marked a sea change in music publishing, giving a wider public than ever before the chance to buy, rather than hire, printed music. This period saw the company emerge as a major player on the international stage, and the series was so successful that “Edition Peters” became synonymous with the publisher behind it. Initially, two different colour schemes were used: contemporary titles under copyright protection came in a shade of pink, while other repertoire was published with the famous light green cover design. By 1900, the series would include works by such household names as d’Albert, Brahms, Bruch, Dvořák, Flotow, Franz, Gade, Liszt, Loewe, Lortzing, Meyerbeer, Moszkowski, Raff, Sinding, Smetana, Vieuxtemps, and Wagner. A particularly close and lifelong association developed with Edvard Grieg, whose Opp. 1 and 2 Abraham acquired soon after joining the firm, when Grieg had only just completed his studies at the Leipzig Conservatoire. In 1874 the company’s offices moved from the one-time home of Felix Mendelssohn, where it had been based for seven years, to an elegant new building at Talstraße 10, commissioned from the architect of the Bayreuth Festspielhaus, Otto Brückwald. Grieg was a frequent guest at the new address, staying in a private apartment on the upper floors and paying regular visits to the offices downstairs in order to present his latest compositions for publication. Friedländer resigned as partner in 1880, leaving Abraham in sole charge of the flourishing company. Its success enabled Abraham to establish the Peters Music Library, a reference collection of scholarly publications, first editions, autographs (including manuscripts by J. S. Bach and Mendelssohn), and other materials. Opening its doors in a neighbouring building in 1894, it was freely accessible to the public and one of the first institutions of its kind. The financial endowment provided by Abraham also allowed for the publication of musical yearbooks, which quickly became a standard resource in the emerging field of musicology. 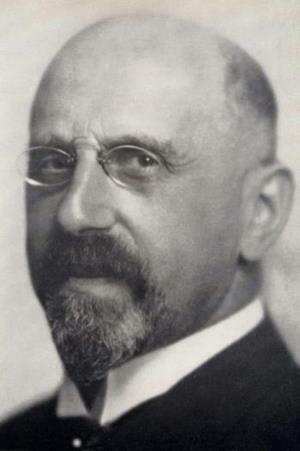 Also in 1894, Abraham’s nephew, Dr Henri Hinrichsen (1868–1942), who had been working his way up in the firm for some years, was made a partner in the business. Henri fully subscribed to his uncle’s ethos, and achieved considerable success after taking over the firm following Abraham’s death in 1900. As a patron of the arts, he sought to balance business and artistic interests, and maintained relationships with many significant composers of the time. To the Peters catalogue, he added works by Mahler, Pfitzner, Reger, Schoenberg, and Wolf, before acquiring the seven early tone poems of Richard Strauss in 1932. Another notable achievement was the introduction of “Urtext” editions, which aimed to convey as truly as possible the intentions of the composer. In other activities, Henri’s generous financial support not only helped to establish local schools and academies – including Germany’s first college for women – but also laid the foundations for what later became the Leipzig Museum of Musical Instruments. Henri’s sons Max (1901–1965), Walter (1907–1969), and Hans-Joachim (1909–1940) all entered the business in the 1930s, but with the rise of the Nazis, the family soon faced discrimination because of their Jewish heritage. To his increasing disbelief, Henri’s prominent role as benefactor did not shield him from restrictions on his freedom and his business activities, and in 1938 an employment ban was imposed on him and Hans-Joachim, who had become a partner in the firm. One year later, the authorities forced a sale of the company under their policy of “Aryanization”. Henri Hinrichsen, his wife Martha, their sons Hans-Joachim and Paul, and several other family members eventually perished at the hand of the Nazi regime. 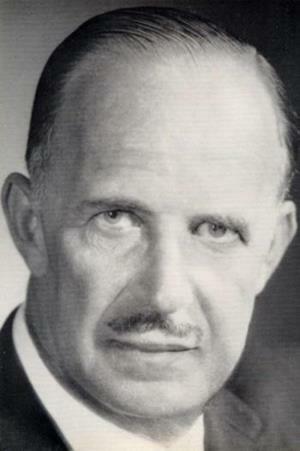 Max Hinrichsen and his young family had left Germany for London in 1937. There, he founded Hinrichsen Edition Ltd, later to become Peters Edition Ltd, and spent many years fighting to have his rights in the Peters catalogue legally recognized. A High Court ruling in 1951 brought a resounding victory. In addition to carrying on the Leipzig tradition, Max focussed on repertoire for organ and brass band, and on contemporary British composers. After his death, his widow Carla Hinrichsen transferred the London company into the ownership of a charitable organisation, the Hinrichsen Foundation, with its primary object being the advancement of contemporary music. In 1936, Max’s brother Walter had emigrated to the United States, where he would eventually establish C. F. Peters Corp., New York, starting off by reprinting Edition Peters titles. In the post-war period, he and his wife Evelyn became active protagonists in American contemporary music, signing – amongst others – the young John Cage, and making C. F. Peters Corp. a highly-regarded publishing house with a distinct company profile. The New York company later passed into the hands of their children, Martha (1948–2016) and Henry (1949–2016). As early as 1945, Walter returned to Leipzig as a US citizen and US Army Music Officer, and with his brother Max began to work towards a transfer of the company’s principal office to Frankfurt (Main), outside the Soviet Occupation Zone that was to become East Germany. In Frankfurt, Walter and Max entered into an uneasy partnership with Dr Johannes Petschull (1901–2001), who had led the Leipzig firm since 1939 and had enlarged the catalogue by acquiring the publisher Henry Litolff’s Verlag in 1940. This policy was to continue with the acquisition, in 1974, of Edition Schwann (founded in 1821) and, fifteen years later, of C. F. Kahnt – another Leipzig publisher, with a history stretching back to 1851. The original Peters firm in Leipzig, nationalized by the Communist regime in 1949, remained a torchbearer for quality music publishing. Employing a highly skilled team and working with renowned editors such as Bach expert Hans-Joachim Schulze, it continued to issue highly regarded Urtext editions of repertoire ranging from Vivaldi to Scriabin, and also published many important works by leading East German composers, including Paul Dessau, Hanns Eisler, Georg Katzer, Rudolf Wagner-Régeny, and Ruth Zechlin. Over the decades that followed, the joint Edition Peters catalogue, to which each firm contributed, grew to more than 12,000 titles. A strong focus continued to be placed on contemporary music, and composers signed by the “Western” companies during this period included George Crumb, Morton Feldman, Brian Ferneyhough, Vinko Globokar, Mauricio Kagel, György Ligeti, and Christian Wolff. The fall of the Berlin Wall and the reunification of Germany led to years of confusion and dispute over the ownership of the Leipzig business, which (in 1993) eventually came under the control of the Frankfurt company. 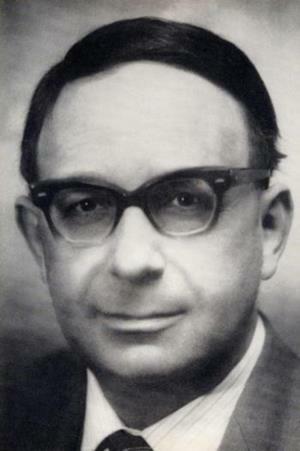 Decisions made by Dr Petschull ensured that the historic firm was reduced to a rump, leaving its former and long-standing managing director, Norbert Molkenbur, as the only representative of Peters in its home town. What remained was merely a shadow of the once-proud publishing house that had operated from Leipzig for almost 200 years. In the following years, various attempts were made to unify the separate Peters firms which had emerged from the turmoil of 20th-century history. During this period a key appointment was that of Nicholas Riddle, who became Managing Director of the London company in 1995. He saw that Peters would only survive into the 21st century if the firms joined forces under a common ownership and invested in new technology. With these goals in mind, and after a number of setbacks, the companies and their owners reached an agreement in 2010 that saw the creation of the Edition Peters Group and the departure of the heirs of Dr Petschull. Since then the majority interest in the Group has been owned by the Hinrichsen Foundation – meaning that profits from the business help to support musical education and performance – while the remaining part is owned by Christian Hinrichsen, grandson of Walter. Leipzig soon became a focus of the Group’s activities again, and historical ties were revived. In 2011 the European rental department of Edition Peters moved back to Leipzig, breathing new life into the historic premises at Talstraße 10. After years of uncertainty, a purchase agreement concluded in early 2013 between the City of Leipzig and the heirs of Henri Hinrichsen meant that the Peters Music Library – that unique collection created almost 120 years before – found a permanent home in Leipzig. Finally, in 2014, the Frankfurt office was closed and the parent company of the Edition Peters Group returned once more to the city where the Peters story had begun more than 200 years earlier.